BJP chief Amit Shah, who is set to file his nomination for the Gandhinagar Lok Sabha seat on Saturday, started his election campaign by garlanding the statue of Sardar Vallabhbhai Patel here. 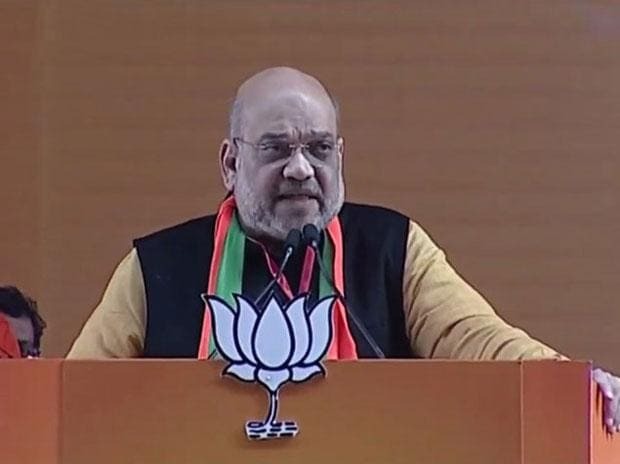 Shah has replaced BJP veteran L K Advani, who had been winning uninterrupted from Gandhinagar since 1998, from the prestigious constituency. Shah is contesting the Lok Sabha poll for the first time. Shah will address a rally in the city before embarking on a massive road show. Union ministers Rajnath Singh and Nitin Gadkari, leaders of BJP's allies such as Shiv Sena chief Uddhav Thackeray, SAD supremo Parkash Singh Badal and LJP founder Ram Vilas Paswan will be present on the stage with Shah. Shah's nomination from the Gandhinagar seat will mark a generational shift in the BJP as this seat was held by Advani for six terms. The state BJP feels that Shah's nomination will energise the party in Gujarat and help it win all the 26 Lok Sabha seats in the state. As an MLA, Shah had earlier represented Sarkhej constituency. After delimitation, he was an MLA from Naranpura constituency. Both the seats were under Gandhinagar Lok Sabha constituency.